Family Connection-Communities In Schools of Athens brings together community partners to review data on issues related to children, select priority areas to improve outcomes, identify best practices related to those areas, work together to implement those best practices, and evaluate data to assure effectiveness. 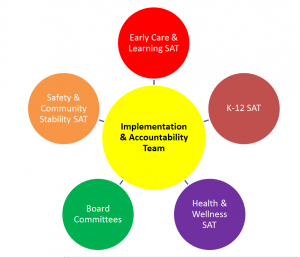 This is done through Strategic Action Teams, co-chaired by professional and neighborhood leaders and including individuals with professional expertise from scores of organizational partners in education, health, child development, safety, and other areas. 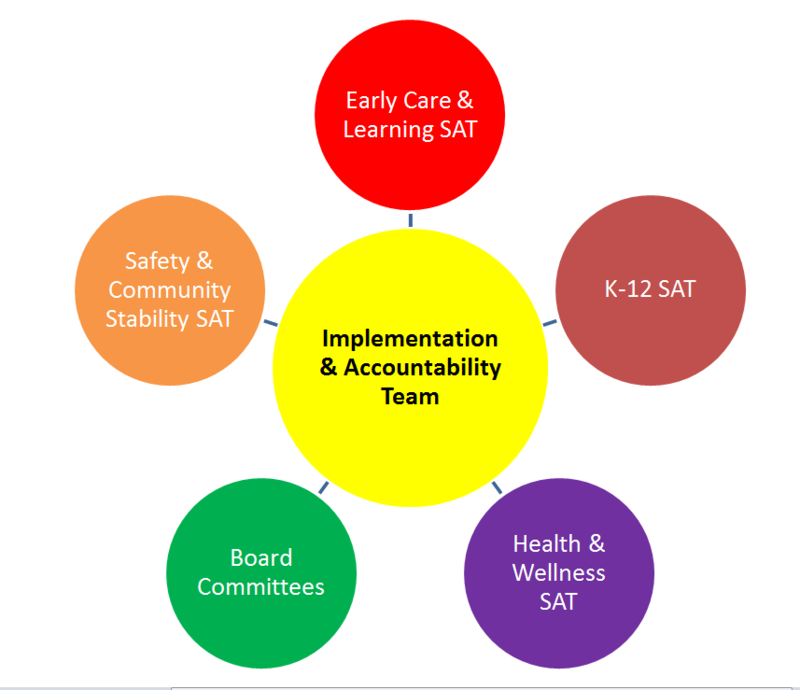 SAT chairs and other leaders constitute the Implementation & Accountability Committee which oversees the process. Staff facilitate the process, and the Board of Directors oversees all operations. Works to ensure that all expectant families and children from birth through third grade have access to parent support, high quality childcare and education, social supports, and health and other services, with a goal of all children being proficient in reading by the end of third grade. Serves as Early Education Empowerment Zone Birth to Eight Team. Supports educational and life success for all children and youth, engaging the community in holistically addressing the issues affecting that success. Promotes health care and promotion of wellness for all family members, including enrollment in health insurance, having a medical home, promotion of good nutrition and healthy physical activity, immunizations, teen pregnancy prevention, and more. Works to connect high school students to post-secondary education (four-year college, technical education, job/career training) upon graduation, with the knowledge and tools to be successful. Works to reduce child abuse and neglect, to support children in the foster system, to address issues related to youth involved with (or at risk of involvement with) the Juvenile Justice system, and to promote positive youth development. Spearheading work to become a trauma-informed community. Works to engage Neighborhood Leaders both in their own neighborhoods and in our community-wide strategic planning and implementation.